Over the years, many different pain symptoms have been reported by auto injury patients. While most symptoms are focused around the obvious injury point of the neck, there are many reports of pain in other parts of the body. Unfortunately, many research studies focus exclusively on the neck and ignore the rest of the body. A group of Canadian researchers decided to look at a whole-body perspective of whiplash. The authors had 6,481 auto injury patients complete a body pain diagram, marking where they felt pain as a result of the collision. As we can see from this chart, many patients had wide-ranging torso pain after their crash. In fact, 26% of the patients had entire posterior trunk pain! "Our results suggest that conceptualizing pain after traffic injury as primarily neck pain may be misdirected. The majority of adults with traffic injuries report bodily pain over multiple body areas and mainly within the posterior trunk region, made up of the posterior neck, posterior shoulder, mid-back, lumbar, and buttock areas. Pain confined to a single body area was extremely rare. 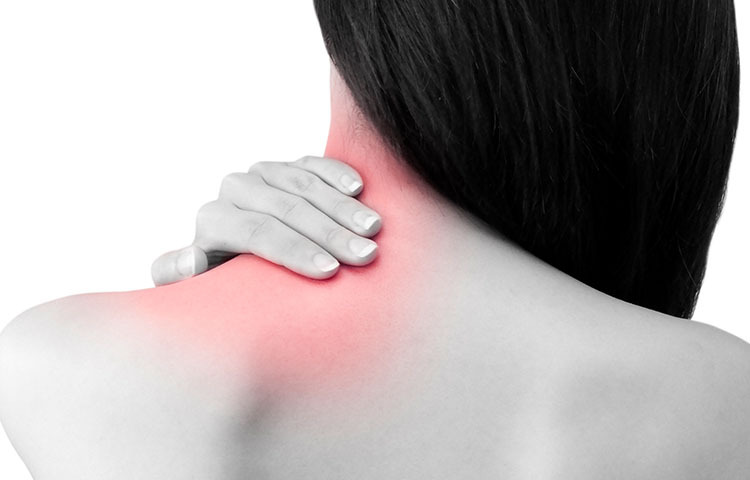 Although neck pain after traffic injury is common, it rarely occurs by itself." "Our study better informs randomized controlled trials on whiplash injury that focus on the treatment and improvement of neck pain alone and suggests that these might be missing an important and potentially relevant part of the clinical presentation after traffic injury. The current findings also suggest that the search for pathophysiological pain mechanisms after traffic injury must fully account for all bodily pain arising after a MVC. In the past, this search has focused too often on neck pain alone and the whiplash mechanism from rear-end collision. Future studies should not use leading questions about implicitly defined pain locations, but rather offer study participants the opportunity to report the total area of pain on a pain drawing. Similarly, the use of pain drawings in clinical settings would provide clinicians with a more complete profile of all symptomatic areas and allow potentially important patterns of pain to be considered and treated if necessary." Hincapie CA, Cassidy JD, Cote P, et al. Whiplash Injury is More Than Neck Pain: A Population-Based Study of Pain Localization After Traffic Injury. Journal of Occupational and Environmental Medicine 2010;52(4):434-440.